This event and many others are among the horrors recounted in the academic Daniel Neep’s newly republished book “Occupying Syria under the French Mandate.” It charts the French colonial tactics and their attempts to use violence both to quell dissent and conversely to legitimise their rule. Neep is careful in the book to avoid making direct comparisons between historical colonial practices and contemporary carnage, but even a cursory glance leaves the reader with the distinct impression that ISIS could have taken lessons from the colonisers. ISIS’ actions are often condemned as the arbitrary killings of pure savages, the group being called “barbaric” by Barack Obama and “monsters” by David Cameron. But trying to understand their thirst for blood through as merely savagery leads to false conclusions. It is perhaps better to understand that ISIS seeks, just as the French did, to use violence to exert influence over the ‘social body.’ In this context that refers both to the Syrian and Iraqi populations and, increasingly as the war drags in global actors, Western powers. There are perhaps two related but distinct ways in which ISIS benefits from such savagery. The first is practical – the fear of the repercussions significantly reduces the willingness to resist. Just the threat of the Islamists arriving is enough to cause whole populations to flee. The complete failure of the US-funded and trained Iraqi army to resist ISIS’ advances in Mosul is indicative of this – hundreds of trained soldiers merely fled in terror, abandoning the city to its fate. While trained and highly motivated, it is far from clear that ISIS’ military capacity would have been enough to take such swathes of territory had they faced more determined resistance. An example could be the small Iraqi town of Amerli – it is not yet exactly clear quite how the badly equipped residents of the town managed to withhold the ISIS onslaught for several months, but they did. Likewise, the (relatively) functional Lebanese army managed to force ISIS back across the Syrian border within a few days earlier in the summer. The second but related way ISIS benefits from such tactics is more psychological. By dominating the narrative and creating a frenzy of fear, they are able to manipulate the situation to give themselves both more importance and an air of invincibility. The perception of power creates power. Neep defines this in the French context as Metonymic violence – the use of extraordinary force to convey political strength and destructive capability, thus weakening the opposition’s resolve. In the colonial context, Neep argues, this manifested itself more often in the demonstration of force than its actual employment – heavily armed troops would be sent on regular marches through rebellious regions to crush the morale of the resistance. 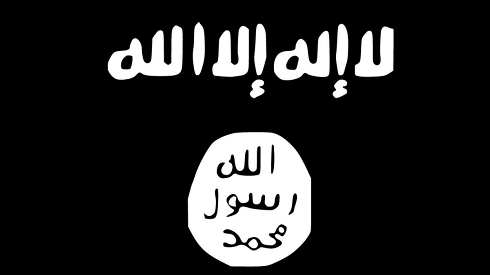 ISIS, it could be argued, have more direct methods – employing social media to highlight their destructive abilities. This leads to the most talked-about episodes of ISIS brutality, the killing of James Foley and Steven Sotloff – two American journalists – and David Haines – a British aid worker – in the desert, supposedly near Raqqa. Taken in the abstract the deaths are relatively un-unique, though horrific and condemnable, events. At least 70 journalists have died in Syria since the war started, and, with the possible exception of the killing of Marie Calvin in Aleppo in 2011, none have had any significant impact beyond general condemnations. Yet these deaths are different. If you need any more proof that ISIS are not mere mindless savages consider the calculated killings. The carefully staged and staggered nature of the murders are in reality a brilliant PR exercise; the orange jumpsuits so evocative of the still-open Guantanamo Bay, the editing careful not to show blood to make censorship harder, the killer’s British accent a deliberate and brilliant tool to play on Western fears of the enemy within. The aim, clearly, is to get as much political capital out of the killings as possible. And it has worked – they have created a media and political frenzy that risks distorting reality. The result has been catastrophic in terms of policy. As Steven Cook’s thoughtful article on the Council of Foreign Relations blog argued on Monday, President Obama has effectively been forced into a bombing campaign. Put simply, it may be better to downplay these murders than to allow them to dominate the narrative. This is far from a simple task – especially as the nature of social media has (rightly) weakened the ability of news organisations to control the debate. But any serious assessment of policy must recognise that this violence is a tool and Western policymakers are being manipulated into making rash judgements. This is not a call for a media blackout, nor is it a demand that politicians stop condemning these horrific acts. Likewise this is not to say that America and the Western powers should not look to counter ISIS. But they should have started to develop sensible policies based upon the group’s gains months ago. Rolling coverage and endless political panic over these killings plays into ISIS’ hands – allowing them to use violence to further increase both fear and, conversely, their legitimacy as an actor. The French, the British and other colonial powers were masters of manipulating impressions to sow fear and discord in populations. It seems that ISIS has learned these lessons and are using them against the West. A recognition of this is the first step towards a better response. This entry was posted in Iraq, Syria and tagged iraq, ISIS, Islamic State, Syria. Bookmark the permalink.